Toronto – April 27, 2016 – Each year, on the first day of May, workers and their unions around the world observe International Workers' Day, also known as May Day. 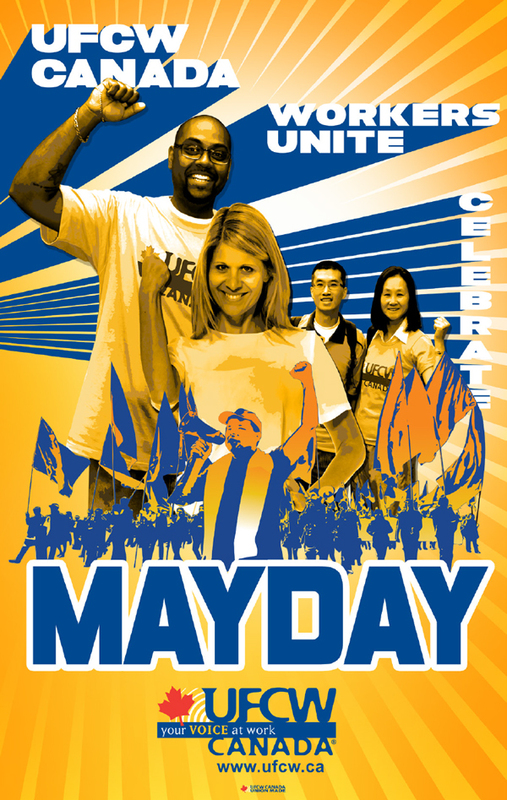 As Canada's leading union, UFCW Canada celebrates May Day in solidarity with members from across the nation and with our sisters and brothers around the globe. May Day has been acknowledged for more than a century and is an annual observance and celebration of the achievements of the trade union movement including the establishment of employment standards, occupational health and safety legislations, and old age security. While commemorating the hard-won victories of working people and the labour movement is important, May Day is also an annual reminder that the struggle remains as the impact of globalization can only be contested by heightened international solidarity. By joining hands together across borders, we can overcome any injustices. On May Day, we celebrate the achievements of the labour movement, while reaffirming our solidarity with our union brothers and sisters, our allies, and with every worker around the world who needs a union.